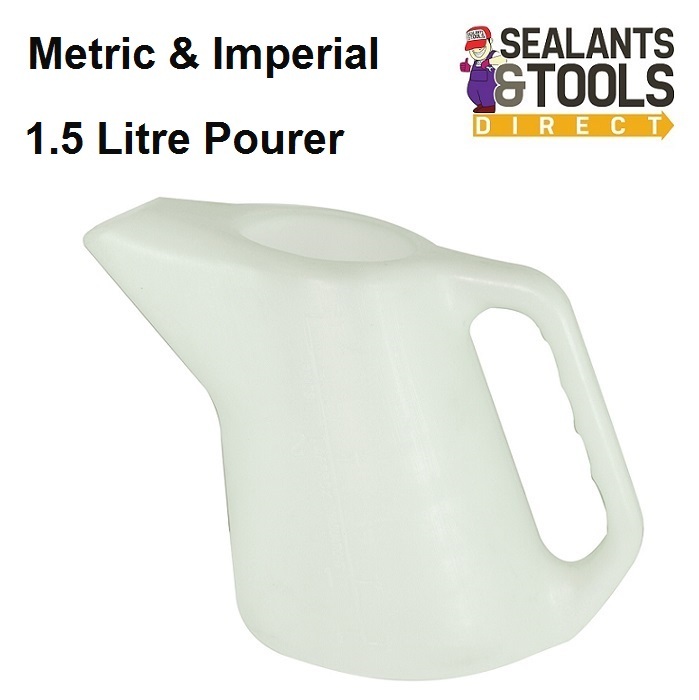 1.5 litre Metric and imperial fluid Graduation pourer. Suitable for water, antifreeze, oils etc. Metric measuring graduations on side making it easy to dispense the correct amount of liquid.